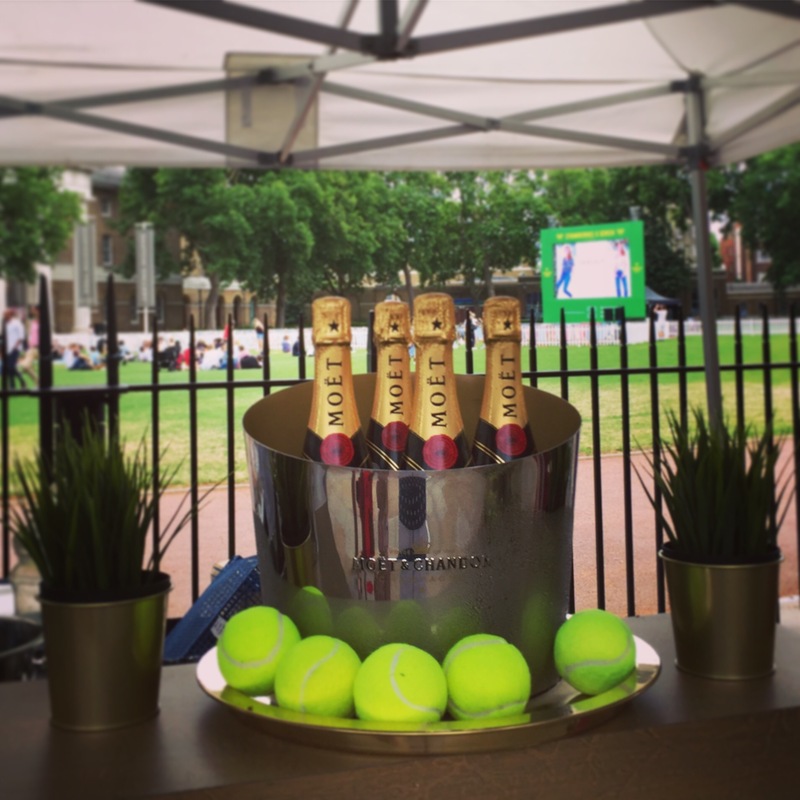 The Wimbledon tennis championships are a big deal here, as you may have guessed, and I really wanted to go. Turns out it’s not so easy to get tickets. You have to put your name in sometime before Christmas and hope you get lucky, or else have a connection to get you tickets. And if you don’t get tickets ahead of time, you join The Queue. 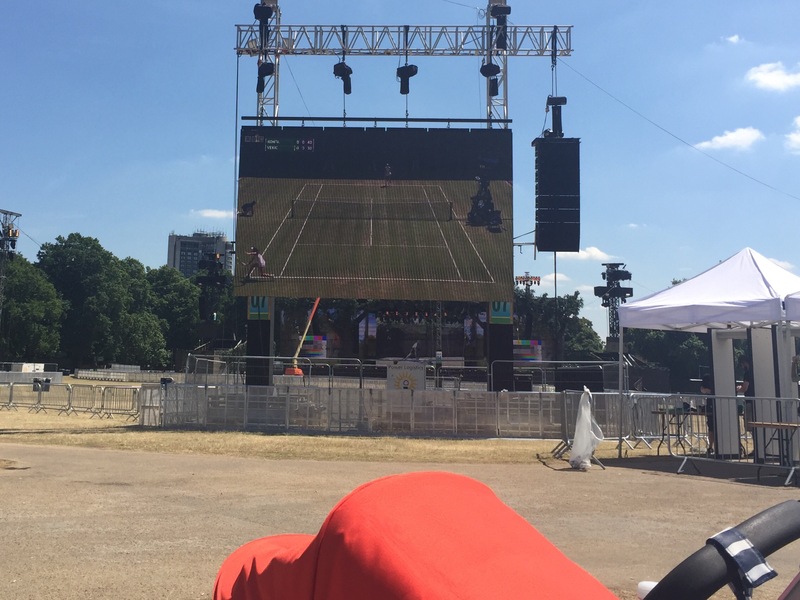 There are a whole bunch of rules about queuing for Wimbledon tickets, but in a nutshell, you have to get there really, really early, or even camp there overnight. 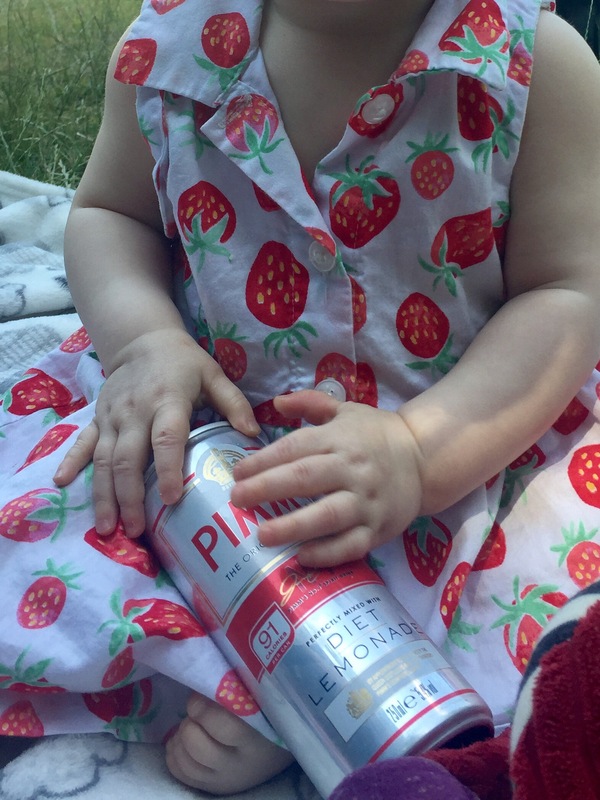 This is not really an option for mothers of young children. 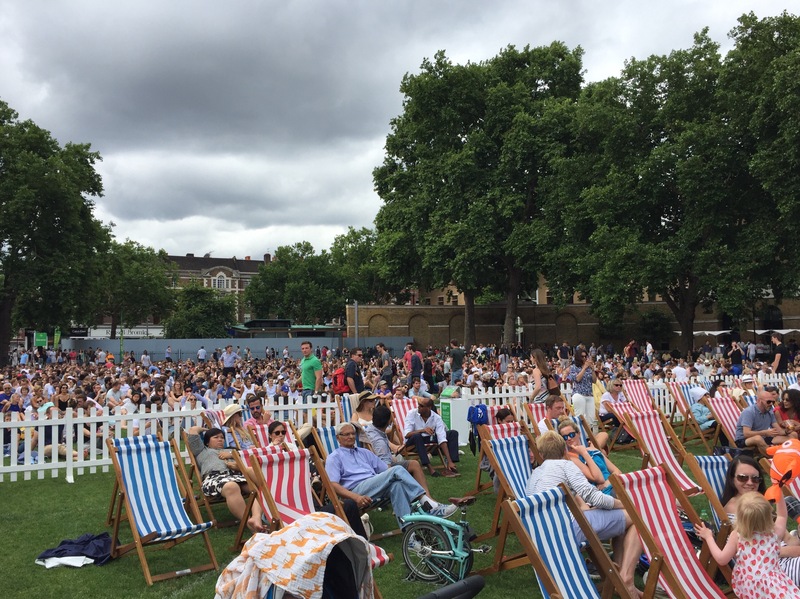 However, there are loads of places all over London that set up big screens and chairs for viewing the tennis, so a couple days into the tournament, two of my friends and I took our babies and went to the one in Hyde Park for a Wimbledon viewing picnic. 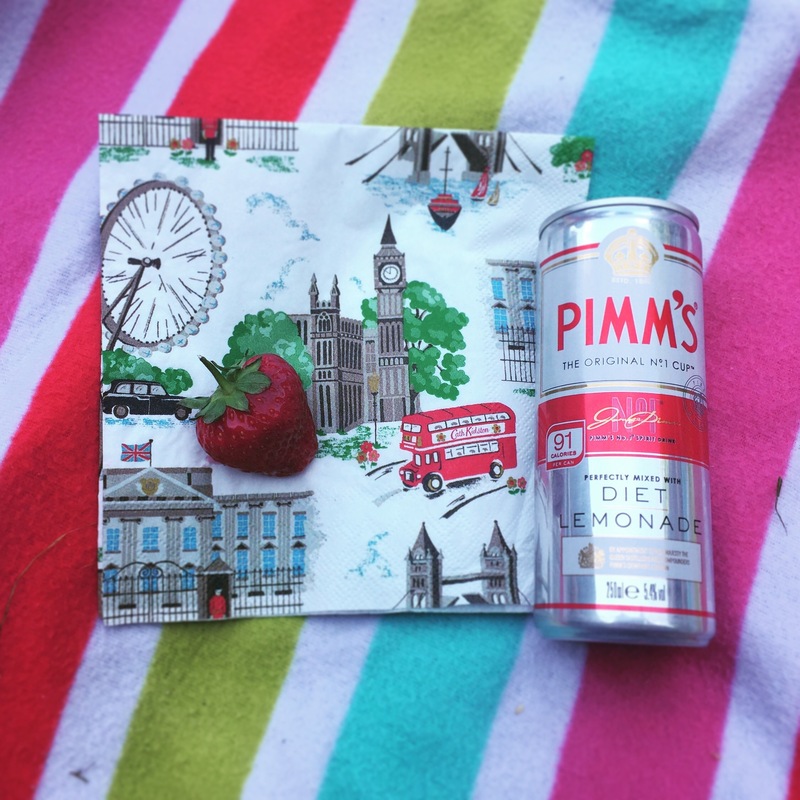 Watching the Wimbledon Championships is all about drinking Pimm’s and eating strawberries, apparently, so that was key for our picnic as well. 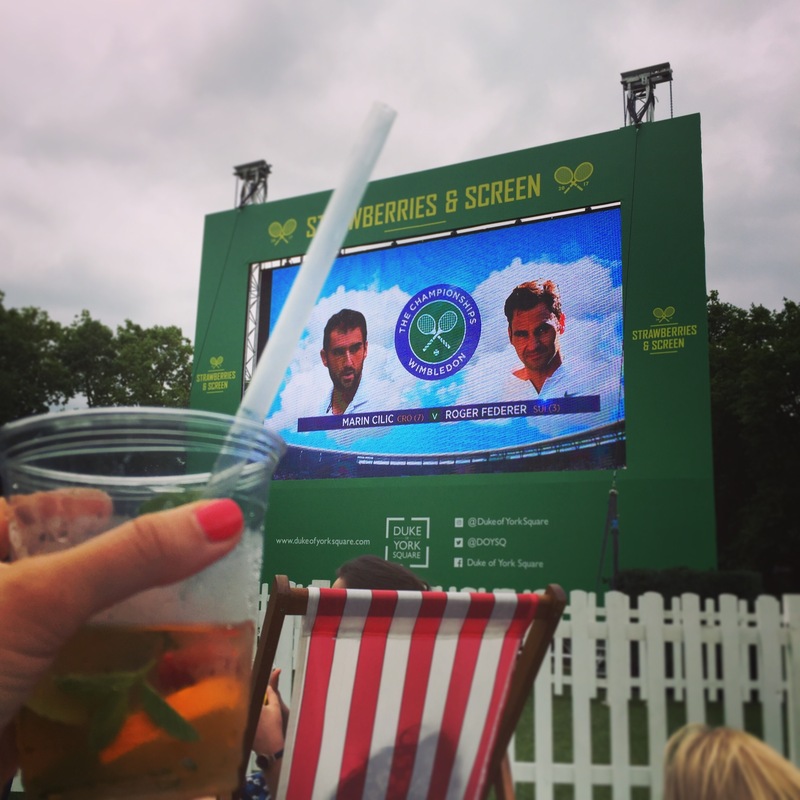 Then for the men’s finals, I was lucky enough to get tickets to the VIP area of the viewing set up at Duke of York Square in Chelsea. I had signed up for the Duke of York Square email list, and happened to see the email right when it came through saying the booking was now open. It’s free, but limited to only so many people, so the spots go fast. I got tickets for our family plus our friends Amber and Justin, who were visiting from Baltimore, and we had a lovely time. I didn’t think the kids would last the whole match, but it wasn’t terribly long, so we got to watch the whole thing! Now that I understand how it works, I’ll put my name in the lottery for tickets to the tournament for next year, and hope I’m one of the lucky ones! Get a ticket for me too — would be SO much fun to go with you!